Law Cairn – Girault & Godart is the law firm of SMEs (Small and Medium Enterprises) and individuals. Finally, an affordable, understandable and effective legal world, composed of associates known for their pragmatism and outspokenness. Law Cairn helps you answer your questions in the areas of the business world. Law Cairn, armed with an international practice of legal disputes, a multi-linguistic culture of experience inside the country and abroad, as well as, having gained a clear picture of a diversified social world, disposes a concrete approach of the situation. Very committed to a modern and responsible world, the law firm aims to adopt a real CSR (Corporate Social Responsibility) policy. Me Isabelle GIRAULT, through a new dynamic and modern concept, continues her law firm, partnering with Me Aline GODART and extending their loyal collaboration of nearly 7 years in the litigation department. How is Isabelle GIRAULT perceived by her professional environment ? For many years now, Isabelle GIRAULT has devoted her passion, enthusiasm and dynamism to her clients. She has thus developed her law firm in many directions, surrounding herself with a loyal clientele that she has followed, for some, since her beginnings. Entrepreneur, perseverant and more than motivated, she manages the disputes of her clients with an iron hand (in a velvet glove) by stubbornly finding for them the best direction. Being convinced that any dispute has its solution and that it is better to find an arrangement than to undergo a long trial, she will guide you and advise you in order to solve at best your problems. A graduate in Community Law and German Law, she specialized in civil and commercial law and then expanded her expertise and is therefore able to help you with any legal problems you may encounter with regard to labour law, tenant law, transfer of business, or in the practical management of the contractual and social relations of your company. Her voluntary engagement proves her humanism (lawyer in Rwanda via ASF, Avocats Sans Frontières). Passionate of children and animals, she also fought for their cause. How is Aline GODART perceived by her professional environment ? Aline GODART is a dynamic, motivated and very professional young woman,. 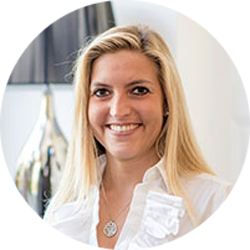 Lawyer since 2012, she is deeply involved in all of her files defending “tooth and nail” her clients. Specialized in labour, social and commercial law, her professionalism, righteousness and thoroughness make her an essential asset for her clients. Defending both employers and employees, she leaves no injustice behind. Courageous, having a fighting spirit and not giving up, she will do her utmost to assist you and defend you in the litigation you may encounter. As a result of her extensive knowledge, she is also able to assist you in any other litigation, regardless of the area (especially should it fall within the scope of her areas of reserve and predilection: criminal, civil and tenant law). She has a much experience in the arbitration proceedings of the Luxembourg Chamber of Commerce. 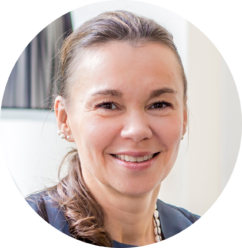 In addition, Aline GODART is a member of the ELSA Association, Employment Law Specialists Association Luxembourg. In addition to her professional and drafting skills, Aline GODART will welcome you in Luxembourgish, French, English, German and Spanish.